Residents of Katherine have celebrated the completion of a new public housing development. 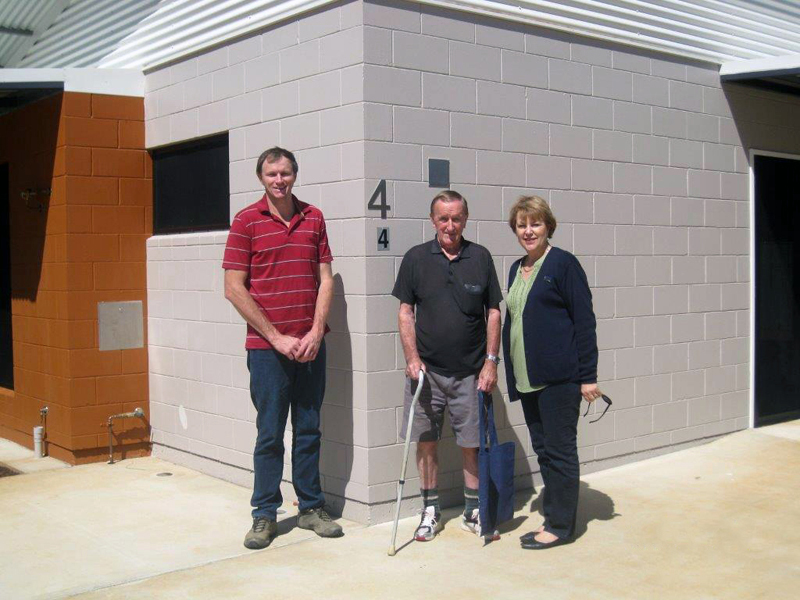 Completed at the end of June 2016, a total of 12 new one and two bedroom single-storey homes now provide modern, contemporary facilities for seniors and people with physical or mobility issues. The additional new houses will increase accessible housing for older residents of the Katherine community while also reducing the waitlist by freeing up existing public housing not suitable for their needs. During the construction phase, managed by the Department of Infrastructure, Katherine saw employment boosted with approximately 40 people including contractors, Indigenous employees and apprentices working onsite.